Thank you for joining us for this year's show! Multi-Purpose Arena (MPA) will be available for schooling from 5 p.m. Thursday to 30 minutes before first ride Friday morning. Amy Countryman (Amy) will be available for schooling from 5 p.m. Friday to 30 minutes before the first ride Saturday morning and from the last ride Saturday evening to 30 minutes before the first ride Sunday morning. Saturday: P2 and south end of Amy all day, PLUS P3 9:30 a.m.-1:30 p.m., then MPA after last test. ​Sunday: P2 and south end of Amy all day, PLUS P3 8:00-11:00 a.m., then MPA after last test. Open Thursday evening and Friday during the show. Open 7:00 a. m. to end of show. 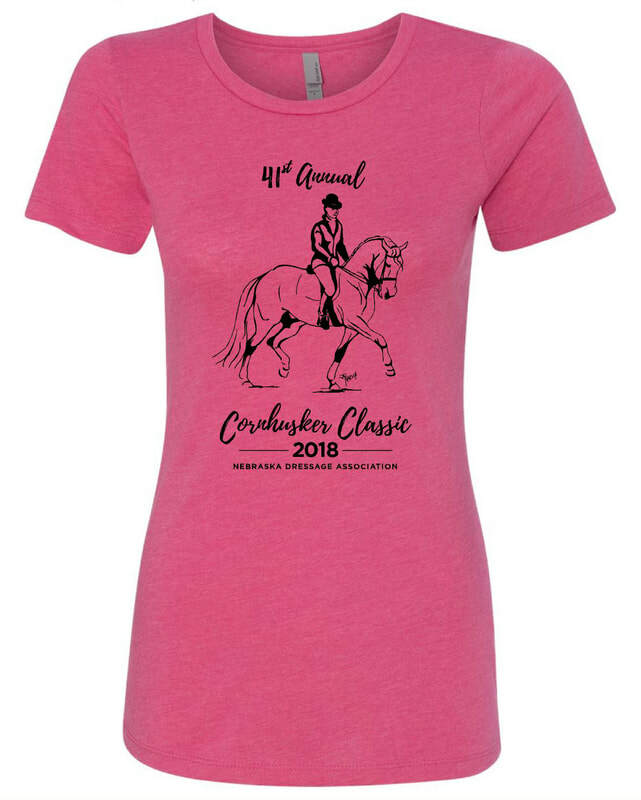 Don't forget your 2018 Classic t-shirt! For a second time, our show shirt features another design by local artist, Janna Harsch. T-shirts will be available in the show office for $10 (checks may be made payable to NDA or exact change, please!). 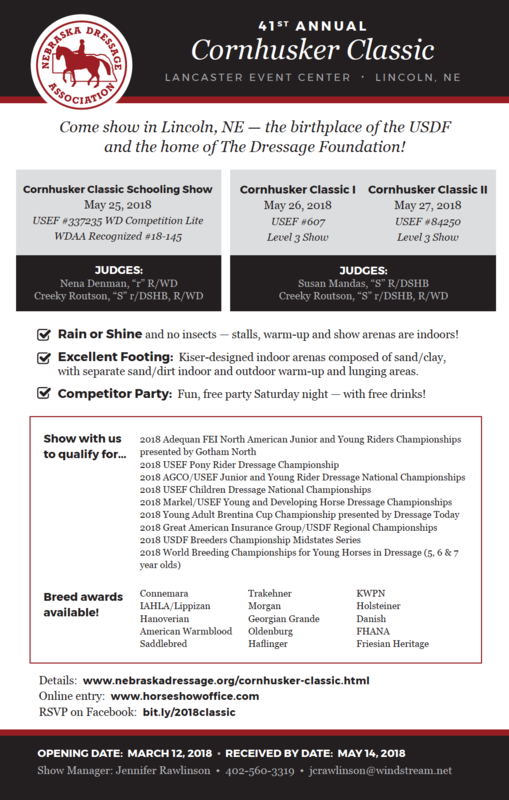 Creeky Routson is a USEF “S” Dressage judge, “R” Western Dressage Judge, “r” Sporthorse and Eventing judge. Routson lives in Walnut Creek Ca. with her three sons Sterling, Chance and Blaze- along with their horses, ducks, dogs and cats. She is a FEI dressage trainer, instructor, and competitor, but most of all a horse lover. She specializes in musical freestyles and loves to put on freestyle exhibitions in order to make a closer connection with horses and the local community. Routson with her freestyle co., Wild Ride Freestyles co- produced with UC Berkeley, Le Carrousel du Roi. This was a historical recreation of the Ballet choreographed by Antoine de Pluvinel in 1612 for the king of France. Complete with imported horse costumes, Le Carrousel du Roi was nationally acknowledged as the first recreation of its kind. Routson choreographed as well as rode in the Ballet which was performed for an audience of over three thousand, including horse and music enthusiasts. Routson has owned, raised and trained horses for over thirty years. She especially values the connection that horses willingly establish with their human partners. Horses bring amazing experiences and life lessons with their boundless spirit and innate wisdom. She believes in the natural ability of horses to heal which has made her an advocate of Equine Assisted psychotherapy and Equine assisted Learning. 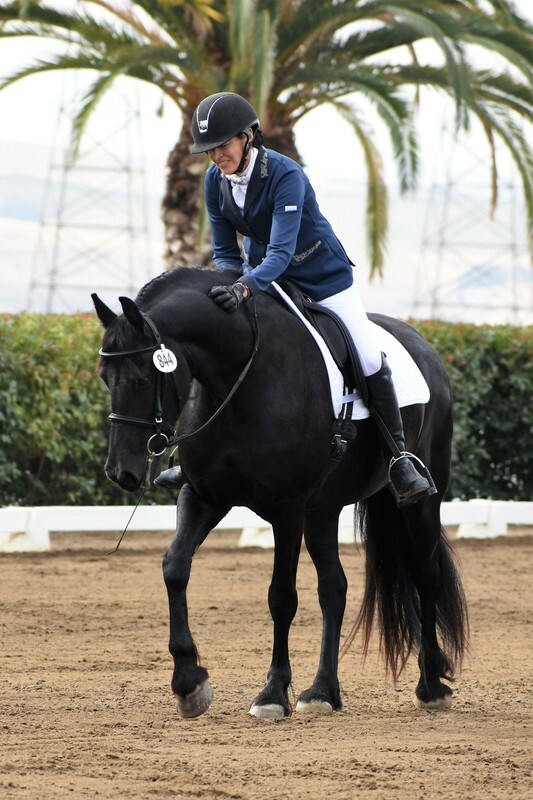 In her many years with her horse partners, Routson has earned numerous USDF championships and top ten placing along with her USDF Bronze, Silver and Gold medals. Sue has been involved in the sport of Dressage as competitor, trainer, breeder and instructor for over 40 years. She is a USEF “S” dressage judge, a “R” Sport Horse Breed judge, and an FEI 3* Para-Equestrian Judge. 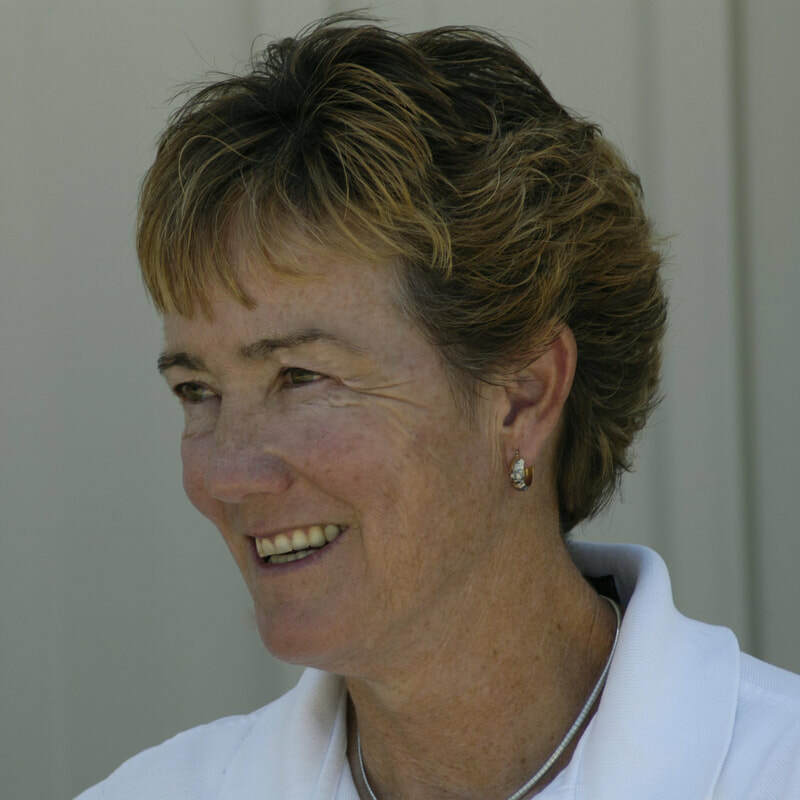 A longtime member of the USDF Sport Horse Committee, she currently also serves as an At Large Director on the USDF executive board. Involved with breeding warm blood Sport horses for many years, her first Grand Prix horse was one she bred, raised and trained herself, with instruction through clinics. Sue is a USDF Bronze, Silver and Gold Medalist and earned the Silver and Gold Freestyle Bars. Sue has trained many horses to the FEI level, winning Regional Champion or Reserve Champion at every level, Second through Grand Prix, and making the USET longlist several times. Currently she is living in Centerville, Ohio where she rides, trains and teaches. ​Nena was born in Chicago and raised in Venezuela. She attended the University of Iowa and met her husband, Jesse. Together, they developed Upland Farm, near Des Moines, where they bred and trained sporthorses and held dressage schooling shows, hunter paces, and mini-events. During this time, Nena rode with the North Hills and whipped for and earned her colors from the Moingona Hunt while showing in the Hunter division and serving as an AHSA steward. 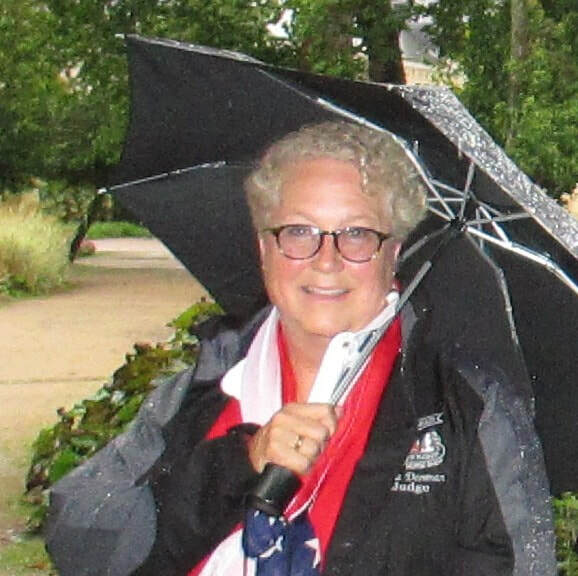 As one of the founders of the Iowa Dressage and Combined Training Association, Nena guided her love of riding cross country into involvement with eventing. Nena was an active supporter and instructor for the Raccoon Valley Pony Club. Over the years, she has worked with riders of all ages at many levels. Currently, she is a USEF Eventing judge, USEF Dressage Judge and Technical Delegate, USEF Western Dressage Judge, and a FEI Eventing Steward. She served as a Region 4 Representative at USDF Conventions. Recent highlights include serving as a steward at the Rolex Three-Day Events in Kentucky. Her goal is to encourage riders to be effective while enjoying their horses. For the past two years, our footing has been highly complimented by our Technical Delegates and Judges, declared on par with international competitions. 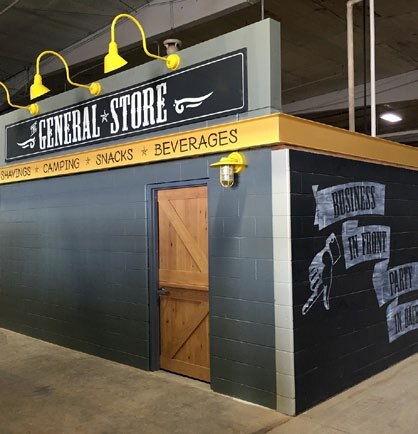 The new General Store concession stand located in Pavilion 2 (in the stall area) is a super convenient place for competitors to get snacks and supplies like stall shavings and mats. General Store in the stall area! Since 2016, Pavilion 2 now hosts a convenient General Store concessions location to serve competitors. 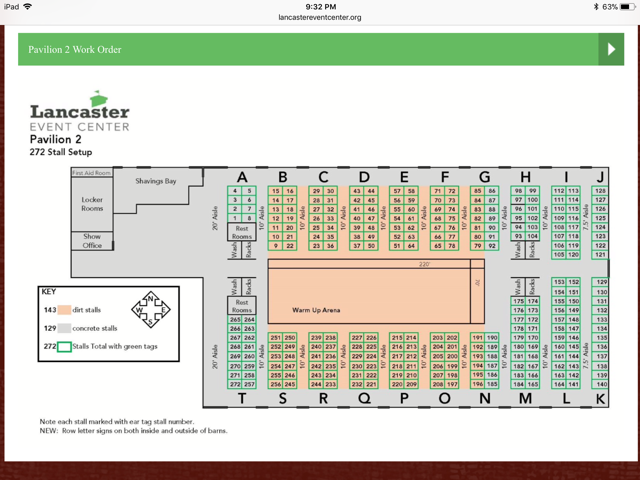 Centrally located and featuring expanded hours to meet the needs of those caring for their horses in the stalling area, visitors now can order shavings, camping, rubber stall mat rentals, and Nixall disinfectant alongside their bottled beverages, snacks, and hot food items. 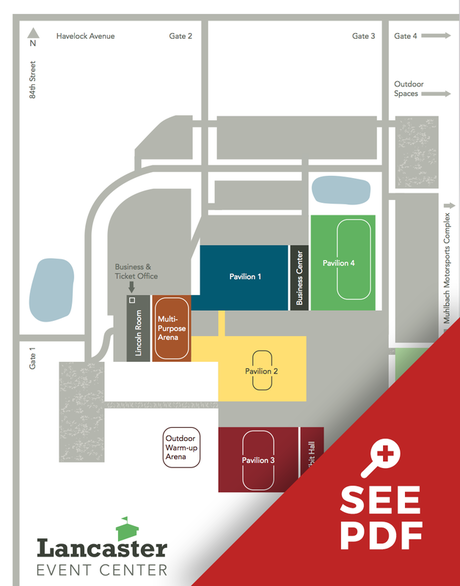 Additional concessions locations, all upgraded and redecorated in the past year, are located in Pavilion 3, adjacent to Amy Countryman, and next to the Multi-Purpose Arena with hours custom-designed around each class. Arena footing continues to excel under new management. 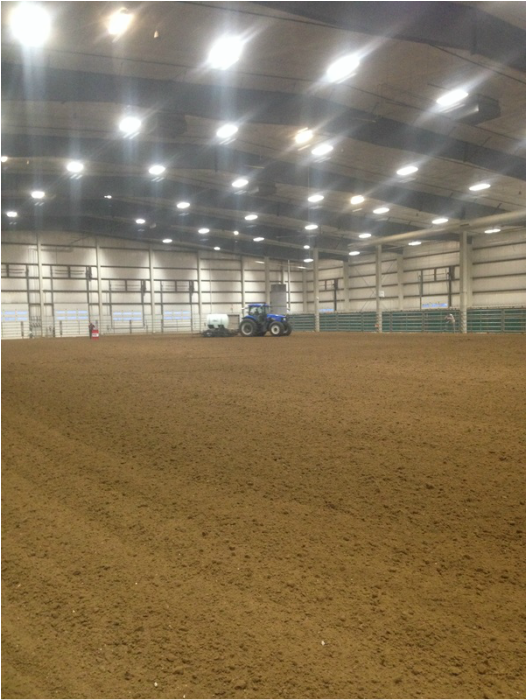 The Lancaster Event Center’s new Kiser DragMaster equipment offers consistent depth and prevents ridges from forming. Additional sand is being added as needed, and a rock removal service is hired just before horse show season begins each year. Trained footing specialists are now scheduled to be available during shows to work the arena under show management’s guidance, and show management has a walk-through scheduled prior to the Classic to allow for any last minute adjustments to moisture content. Footing in the two show arenas and two full-size warm-up arenas are of the same composition and will be worked in the same way to ensure consistency. Click on a job you would be interested in. Scroll to the bottom of the page and click on "Submit/Sign Up." Fill in all relevant information and you're good to go! 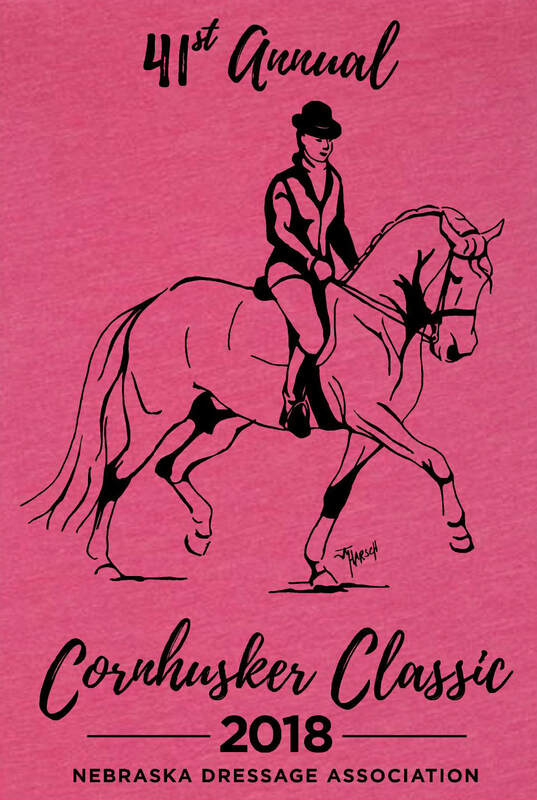 All volunteers donating 4+ hours of their time will receive a free 41st Classic show t-shirt. The Federal Motor Carrier Safety Administration (FMCSA) governs the safe operation of large trucks and buses, including some agricultural and farm trucks, depending on size and use. A rigid definition of some of the regulations makes it appear that those who haul horses for shows are automatically required to abide by all regulations, including things like log books and CDL for the vehicles they drive. In many cases, this is simply not a fact, and the FMCSA has produced a document and resources on their website that address this issue in detail and explain an exception that exists, and has for quite some time. Linked below is one of the more concise documents that should assist you in determining if you need to adhere to Federal regulations regarding the movement of your horses. Please pay special attention to the first paragraph – it essentially states that if you haul horses for pleasure, and there is not a business or commercial enterprise involved (like breeders, brokers, etc) you are exempted from the regulations that require CDL and log book, among other things. For most who haul to horse shows for pleasure, even if there is some type of monetary award of scholarship available, the exemption is applicable. Please review the attached document and web links. If you have questions, staff at Nebraska State Patrol are happy to assist.